NYC, 04/09/2019, 7:00PM. Sacred Sounds: Organ Concert. 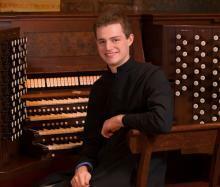 Organist Alexander Pattavina has performed at the Cathedral Church of St. John the Divine, Church of St. Ignatius Loyola, and the Church of St. Paul the Apostle in Manhattan, and Old West Church in Boston.